Wash and soak millets together for 4 hours. Wash and soak the dal and methi seeds together for 4 hours. Wash and soak poha for 2 hours separately. Using a blender/mixie, first grind the dal and methi seeds till it becomes fluffy. Add very little water while grinding. Grind the millet using little water and add to the ground dal. Grind the soaked poha to a smooth consistency. Mix the ground dal, millet, poha well adding salt. Ferment for 8 hours or overnight. 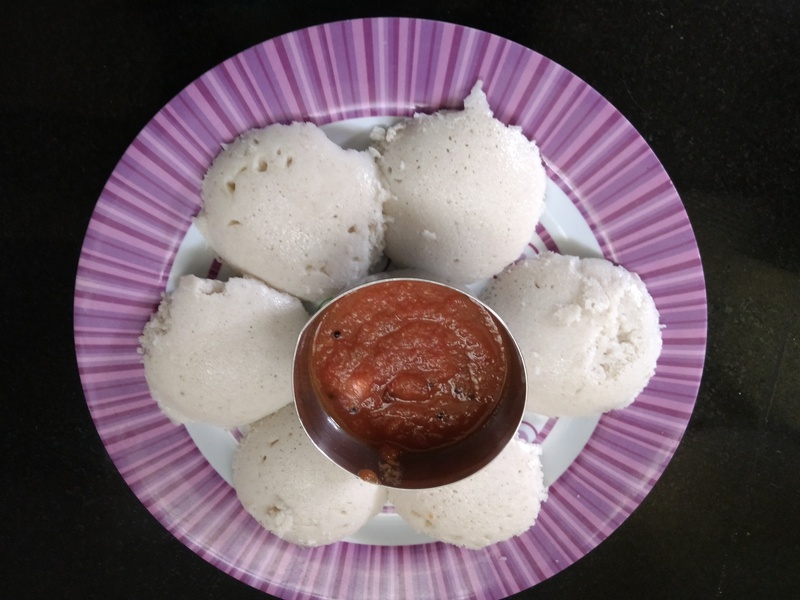 Make idlis using an idli cooker. In a 2 Ltr pressure cooker, layer 3 tsp of water, 1/4 cup sesame oil, 1 cup chopped onion, 1/4 cup chopped shallots, 3 big deseeded tomatoes cut into half, 1 tsp jaggery, 5 red chillies, 1 tsp tamarind pulp and 1 tsp salt. Cook on high for 4 whistles or 5 minutes whichever is earlier. Open and blend all. If I have to use only one millet..that should be 3 cups? Yes, the proportions remains the same. Use any single millet or mixed millets. Any combination of millets can be used to make idli batter or only these 3 will work out? Any combination of millets except bajra and Jowar can be used to make 3 cups of millet in total. Thanks for your visit. Hello! Did you use whole or split urad dal? Thanks! I always use whole urad dal for idli. Thanks for your visit. Also how many idlis did this recipe make? It will give enough for a 4 member family. I have not counted though! I have Proso and Kodo millet. Can I use only these 2 for making idli batter. I see that you have not used Proso millet in any idli batter recipe. Any particular reason? Agree that I have not used proso for idli batter. There’s no particular reason for this. 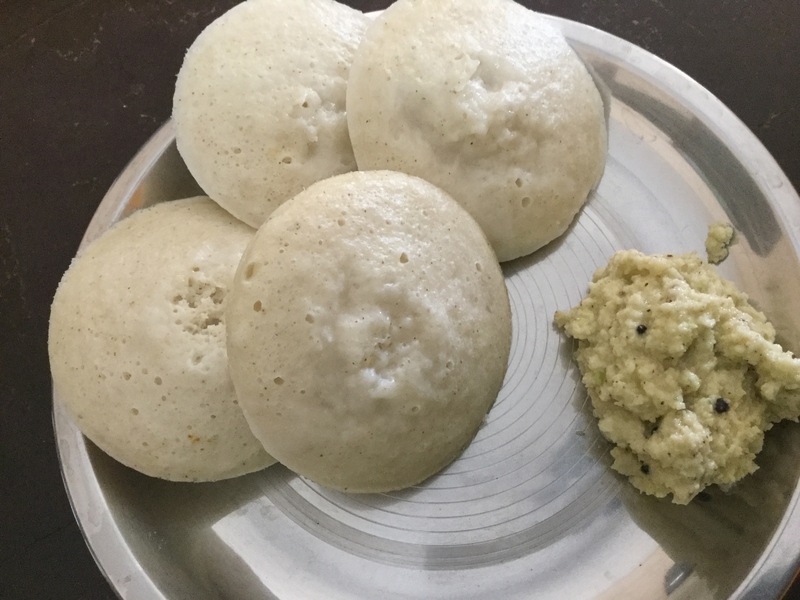 Follow my foxtail millet idli recipe if you are using only Proso. Thanks for the quick response ma’am. I replaced the foxtail with Kodo millet and reduced proportions to suit 1 C millet. The batter wasn’t watery when I ground it. But after fermentation it got really watery and my idlies didn’t rise. Guess this will become my dosa batter now. Will try again with Foxtail millet once this batch is over. Yes, millets tend to become watery when fermented. To avoid this, grind adding very little water and keep it thick than the normal idli batter. This should solve your problem. Millets ferment fast and you can store and use the batter for 3 days. Thanks for your visit. Can we use the millet powders and if yes what can be the ratio? I have shared a couple of recipes with millet flours. Please check those posts. Hi, I made these idlies last week and they came out fabulous. I ground the batter in my wet grinder and so reduced the quantity of urad dal just a little bit. Thank you for sharing all these millet recipes. Thanks for trying and validating the recipe. Happy to know that you liked the idlis. Regarding the availability of millets in US I will let you know the details soon. I will look into the section mentioned by you. Once again thanks so much. Thanks for trying and validating the recipe. Happy to know that your family enjoys millet idlis very much! 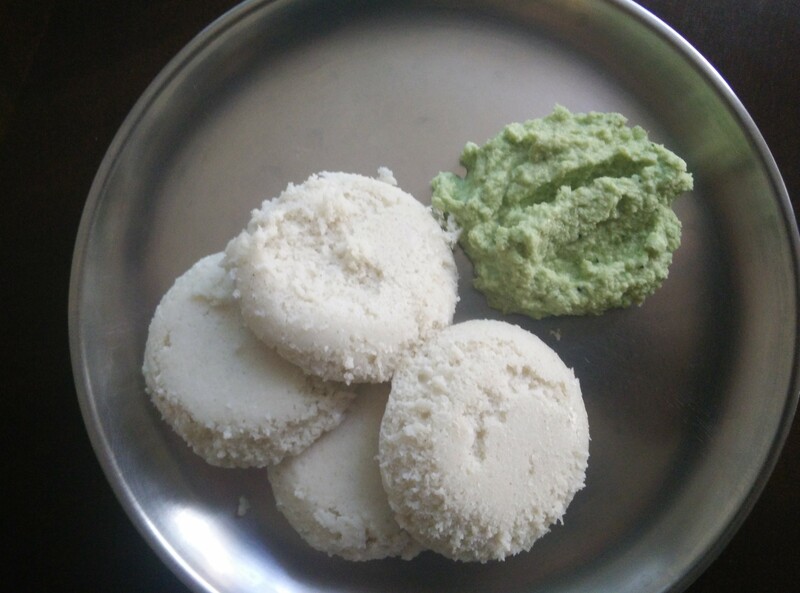 Tried multimillet idlis. Came out real good. Thanks for the recipe. If I replace one of the millet with foxtail millet, will the proportion of ingredients change? Thanks for trying and validating the recipe. 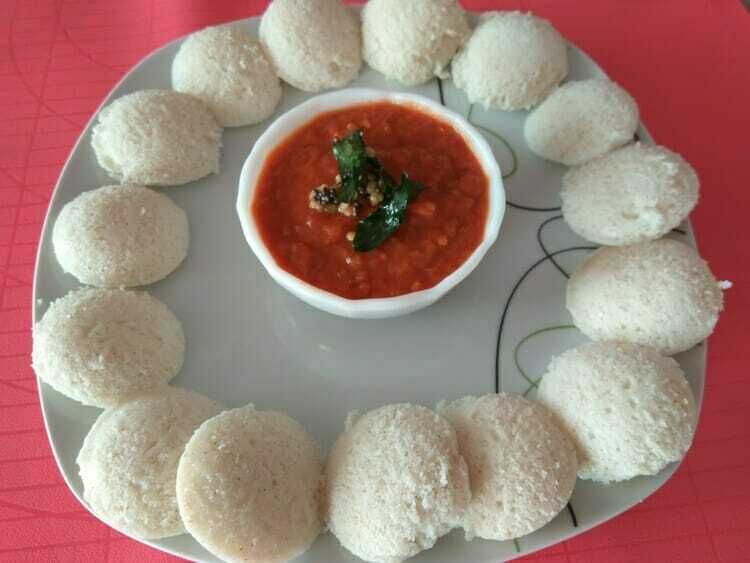 Your idlis look really soft! You can replace foxtail millet with one millet. Still the proportions will remain the same. I have posted foxtail millet idlis as a separate post. Please try that recipe if you want to use only that millet. I am happy that you tried this recipe! It is a fool proof recipe and as you said, the idlis will be as soft as cotton! Yours looks beautiful! Thanks for trying and validating the recipe. Thanks for trying and validating the recipe. The idlis remain soft even the next day! Happy to so many validations!! I have been told by a friend who deals in Millets, that never to mix millets, he says it is always more healthier to cook one millet at a time to get their full benefit.Is it true? It may be true when you use millets as whole grains as the cooking time may vary for different millets. But, for idlis, we soak well, grind and ferment. So there is no harm. Don’t we buy the multigrain atta sold in the market which is considered more healthy? Please listen to your body and decide. I’m a great fan of your recipes…and I have tried some of them too. Thanks for your comment, Subha!